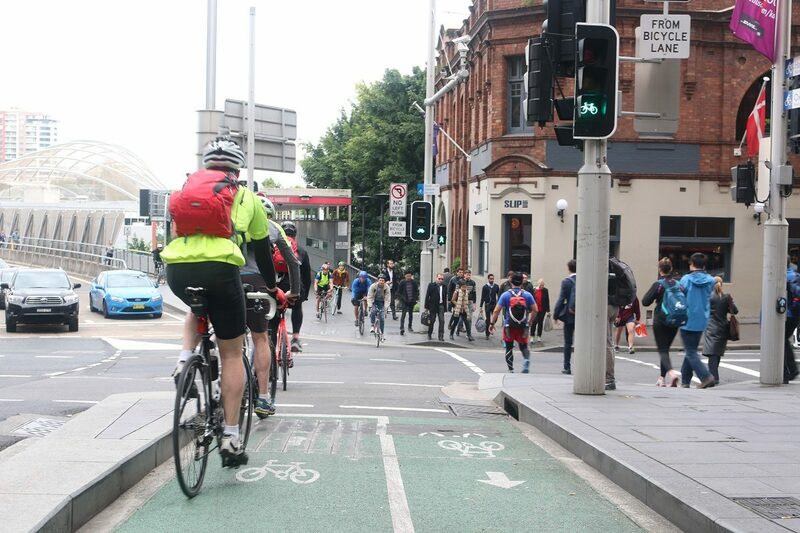 Are you a #CyclewayUser in Sydney? A video of a man driving down a shared path and abusing people riding bikes on a road in NSW sparked a debate on Channel 7's Sunrise program about the usage of bike lanes. We think the bike riding community should respond. A panel including program host Samantha Armytage, Smooth FM radio's Ron Wilson and commentator Cath Webber spouted predictable lines about how bike riders think they own the roads and deserve to be abused. While these panelists may be entitled to their opinions, they do need to be properly informed, and a particular comment at the end indicated that they don't actually know what they're talking about. The incident that started the discussion happened on a regional road which caused Ms Armytage to say that the circumstances are different to that of the Sydney CBD. "I think the Sydney CBD bike lanes–which never get used—are a different story to this situation," Ms Armytage went on to say. It seems that Ms Armytage's view is so blinkered that she can't see all the people who ride bikes on Sydney's cycleways everyday. Data made available from the City of Sydney in 2016 showed that thousands of people ride on the cycleways on Bourke Street, Kent Street and King Street. 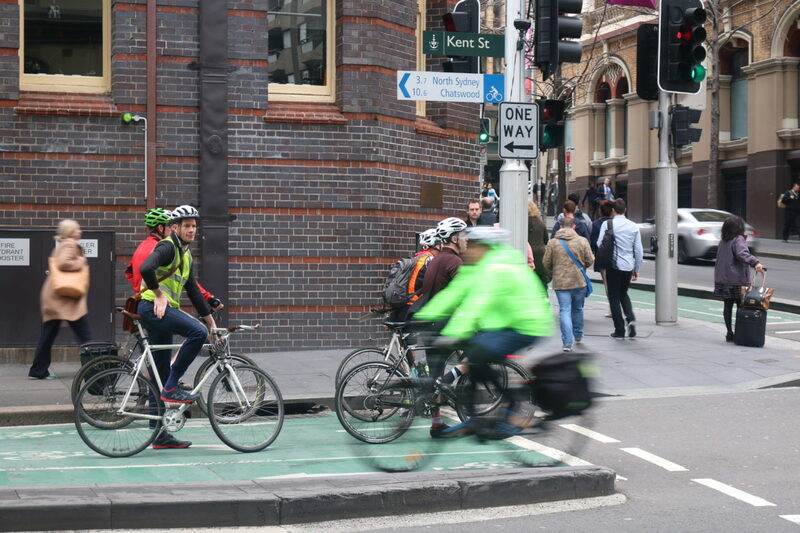 More than 1,000 riders were counted at Bourke Street near Phelps Street during peak hours, while the King Street cycleway saw more than 2,000 users near Kent Street. City of Sydney also said that the data showed huge growth, with usage of the Kent Street cycleway jumping by more than 600 per cent from 2010 to 2016. Update: Since this post was originally published, the driver who began the whole episode handed himself into police. It turns out the riders he abused were police officers. Unfortunately, we don't have more recent data to show exactly how much the cycleways are being used, so we're asking Sydney riders to show Samantha Armytage that they use the City of Sydney's cycleways. 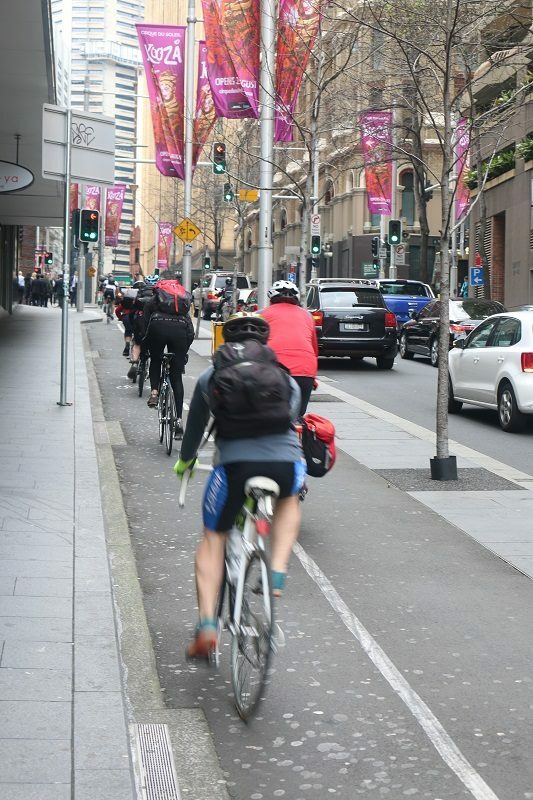 Next time (and maybe every time) you use a Sydney CBD cycleway, take a photo or post a tweet and send it to Samantha Armytage so that we can show her just how often Sydney's cycleways get used. You can tag Samantha on both Instagram and Twitter using @sam_armytage – send her a picture using I'm a #CyclewayUser. You can also tag us by using @Bicycle_Network. We also think it should be made clear to Ron Wilson that abusing bike riders is not on and that he shouldn't be so proud of it. We don't have his social media details, but you could contact his employer Smooth FM. As well as the raw usage data about Sydney's cycleways showing the Sunrise panel the worth of bike riding, there is further information that indicates they are on the wrong side of public perception. Research conducted by the University of Sydney last year showed that 82 per cent of people want more bike paths that are separated from cars. It also seems that cycleways have been affecting the property market, with information from real estate agents suggesting that Sydney properties near bike lanes and paths are in demand and that being near one increases the value of a house. “What’s the point of us spending this money if you’re not gonna use it you f**king d**kheads?" Examples of Sydney's cycleways that supposedly never get used.